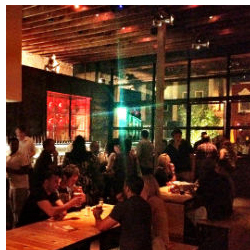 MidtownHoustonBars.com :: Your Online Guide to Midtown Houston's Bars, Lounges, and Party Places! Planning to come to Midtown for a night of party, fun, music, and more? You've come to the right place - MidtownHoustonBars.com, your online guide to the different bars, party places, and fun spots around Midtown. Midtown is an area frequented by young professionals, drinking aficionados, dining enthusiasts, and veteran party goers. After all, Midtown is where you can find a great number of bars, disco houses, pubs, lounges, wine bars, and other night time venues where you can unwind, meet some friends, or just have fun. This spot is home to Houston's best bars - sports bars, dive bars, gay bars, classy bars, name it you will surely find one here in Midtown. It's just a matter of selecting the right one that suits your needs and that of your friends. Good thing MidtownHoustonBars.com is here! From now on, you won't have to hop from one bar to another for you to find the best spot to spend the night with friends. With MidtownHoustonBars.com, you will be able to select the right bar for you based on our humble review and comments of the different spots around the area. Make sure that your visit to Midtown is memorable and fun by selecting the best bar that will meet your standards. 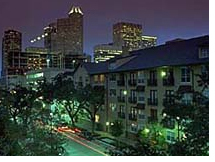 Before going to Midtown, check out MidtownHoustonBars.com. Whether it's Happy Hour, dinner, live music, DJ's, jukebox, dives, or a place to watch your favorite games, Midtown offers it all!